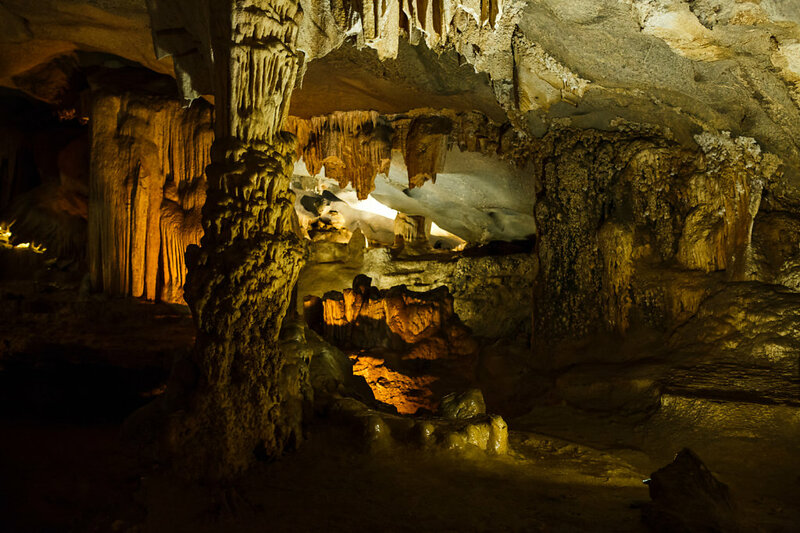 Everything was kind of last minute, we booked the day before the tour left, because we wanted to save time and instead of going to Hanoi first and book a cruise from there, we really wanted to go right from Ninh Binh. 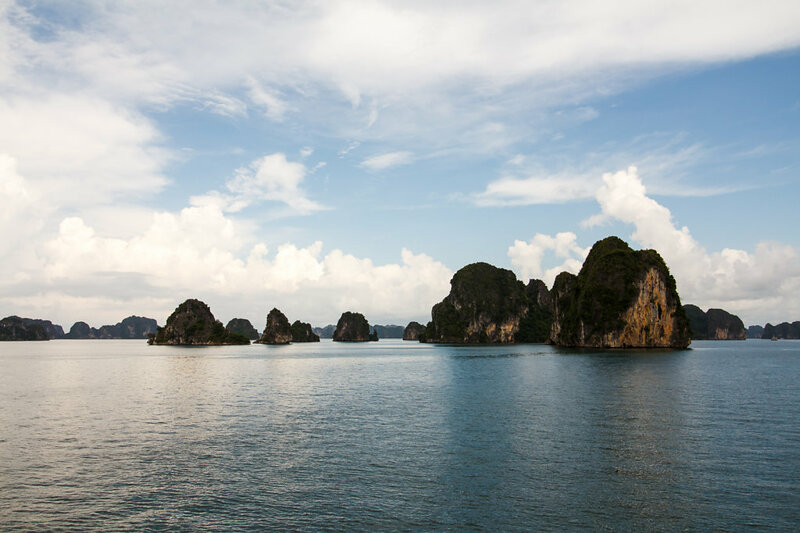 The tour was booked through our hotel via "The Long Travel" - a travel agency located in Tam Coc, but the boat tour itself was operated by ASTtravel, and the Cruise we were on was the "Lemon Cruise" 2D1N. ASTtravel also offers higher priced luxury cruises, but we decided to go with the Lemon Cruise and we didn't regret it. Not everything was perfect, but most things were alright and the price was reasonable. 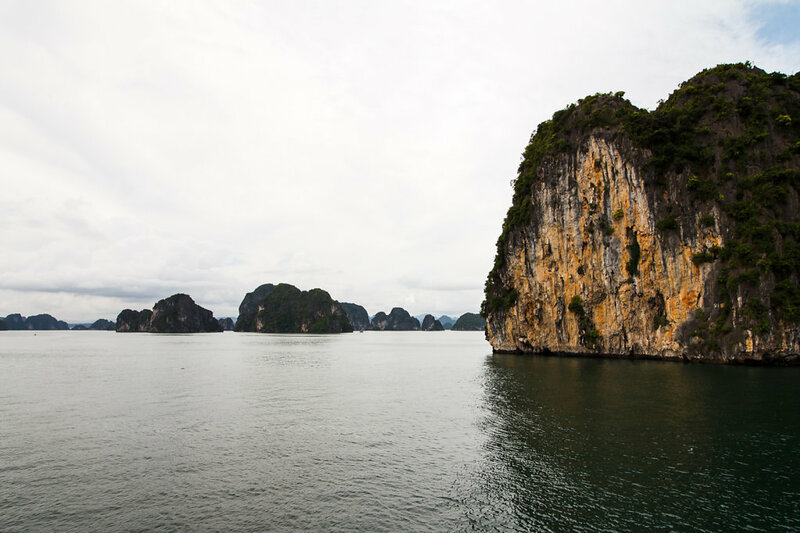 The first step was actually getting to Halong City to get on the boat. That part of the tour was operated by The Long Tavel, and while the bus ride itself was fine, it got very confusing to the end. 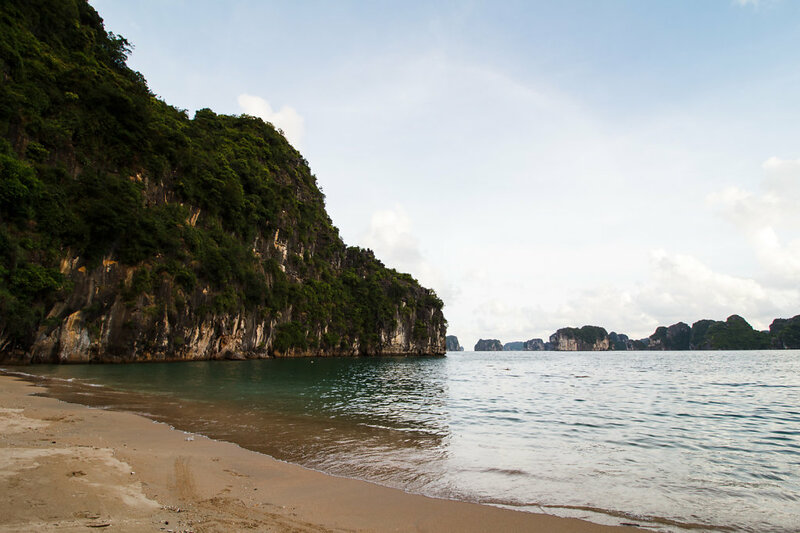 We were picked up at our hotel early in the morning and then drove to Halong, with one stop at one of the typical Vietnamese Bustravel-Stops (A place with restroom facilities and of course a shop selling overpriced souvenirs and food). Then we drove on. When we got to the first stop in Halong Tim and I started to worry because we were pretty late compared to the schedule given in our program. And we knew there were two more stops before we'd be at the harbor where we'd embark on our ship. While we were still debating on what to do, suddenly the bus driver told us and two other people to get out of the bus. Neither he nor the guy from long travel spoke english very well, so we had no idea what was happening. We grabbed our luggage and got out, the other two pair did the same and looked just as confused as we did. A minute later another bus pulled up, a guy came out and told us to get on. We did as we were told. Then the guy told us that he was Hai, our Tourguide for the "Lemon Cruise" - so obviously pickup had been arranged because we were so late with out bus. We took a deep breath and calmed down while the bus continued to the harbor. There we had to wait for a few minutes, until our boat got it's sailing permit - those are given out depending on the weather. We were lucky and the weather was fine, so the captain got his permit and we got onto a small "Tender" to be taken to our cruise boat. The cruise boat looked a bit beaten and old, but fine enough for us to trust it to keep floating. After some short information we checked into our cabins. The cabins were alright. The main room with the beds was really fine, the bathroom could have used some renovation. Other than that we were pleased with everything. 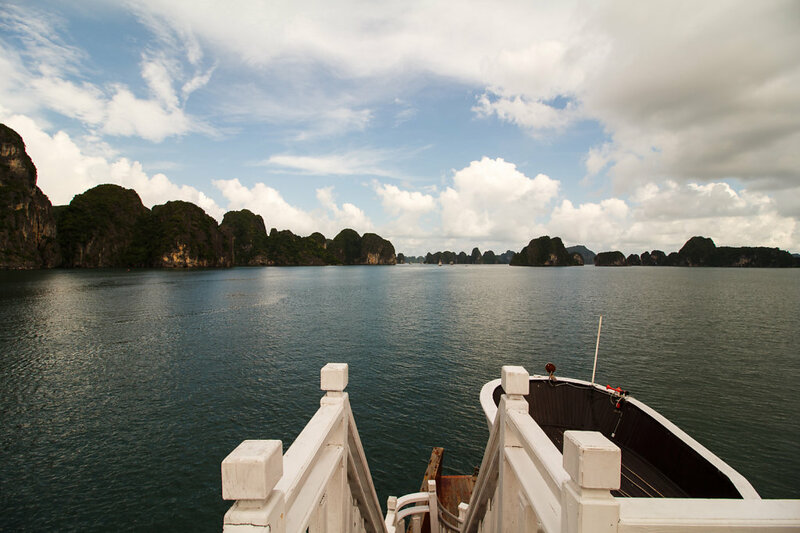 We went upstairs again to the main room to have Lunch, while our boat cruised towards Bai Tu Long Bay. We used lunch time to get to know each other a little better. There were only seven of us in total, even though the boat had the capacity to take on about 20 people. So that was really really nice. 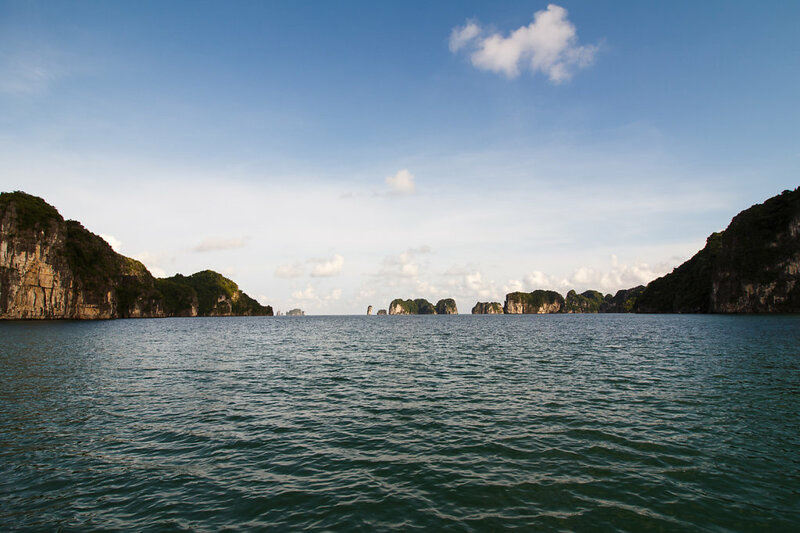 After lunch and a bit of doing nothing but sitting on the sundeck and watching the Limestone-Mountain Scenery pass by, we came to a stop at a floating platform where we were given Kayaks and got to paddle around for a bit. 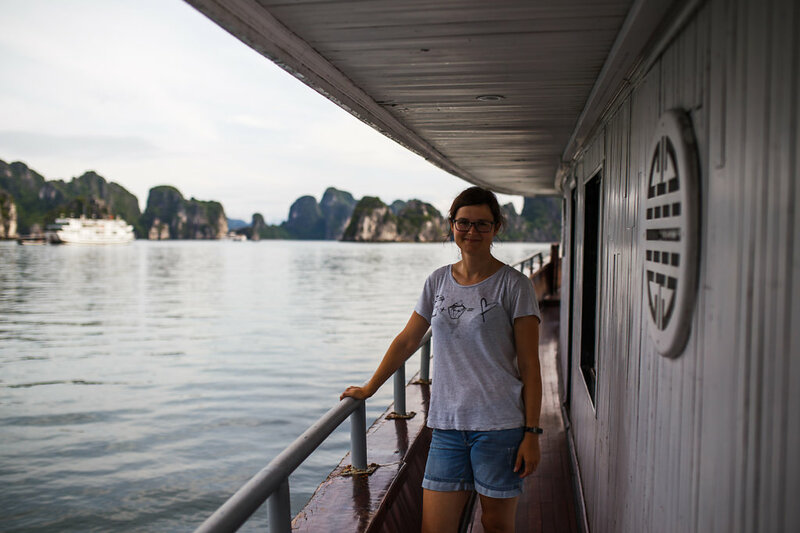 We had a route to follow that passed by one of the infamous floating villages - we saw no people there, but two dogs - and then by an arch under one of the limestone mountains. We continued paddeling around and got back to the platform after about 30 minutes - we ended up being too fast, 50 minutes had been scheduled. But it had been so hot that we just basically paddled from the shadow of one limestone mountain to the shadow of the next one, and crossed the open spaces as fast as possible. For the next activity we were asked if we wanted to go to a pearl farm, and none of us were too enthusiastic about it. 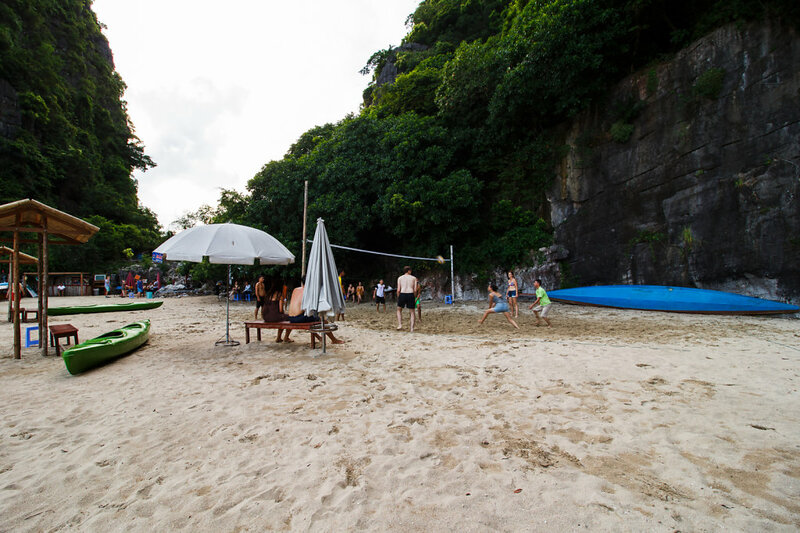 The other choice was to go to a private beach to have a swim, play some beach volleyball and have some beer. 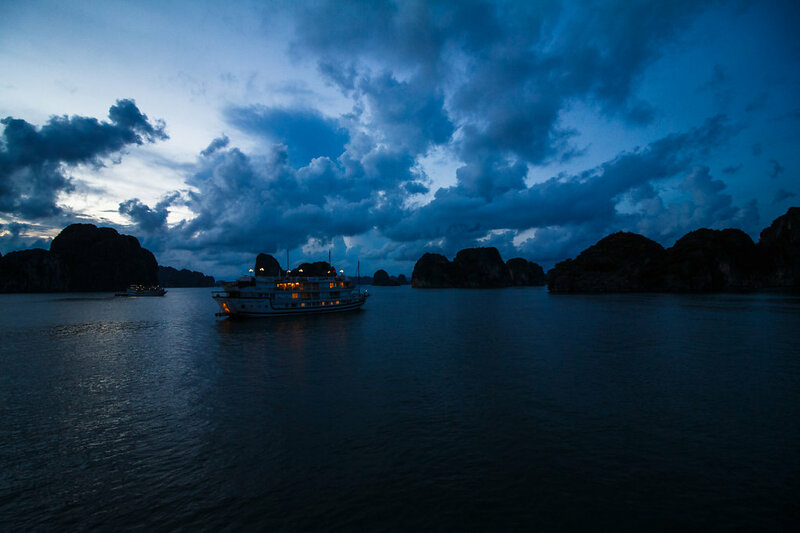 In the evening our ship dropped anchor somewhere in Halong Bay and we had a huge dinner. Then Hai, the tour guide, suggested some karaoke. We all went with it, and it was fun. Some guys from the boat crew took part too, and sang some vietnamese songs. 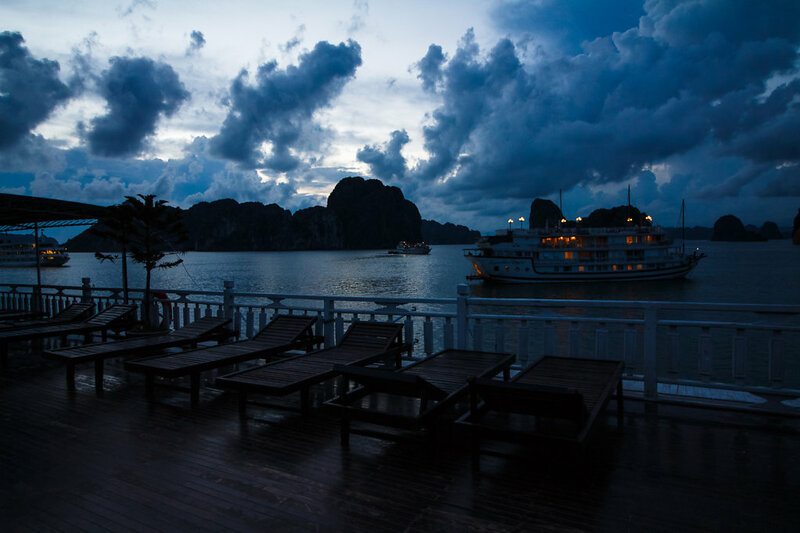 After about an hour or so, we got tired of it though, and all went up to the sundeck to enjoy the view of the nightly halong bay. There were three more boats around us that we could see, and while some people feel like each boat should drop anchor in a bay all by itself, we felt it was alright. 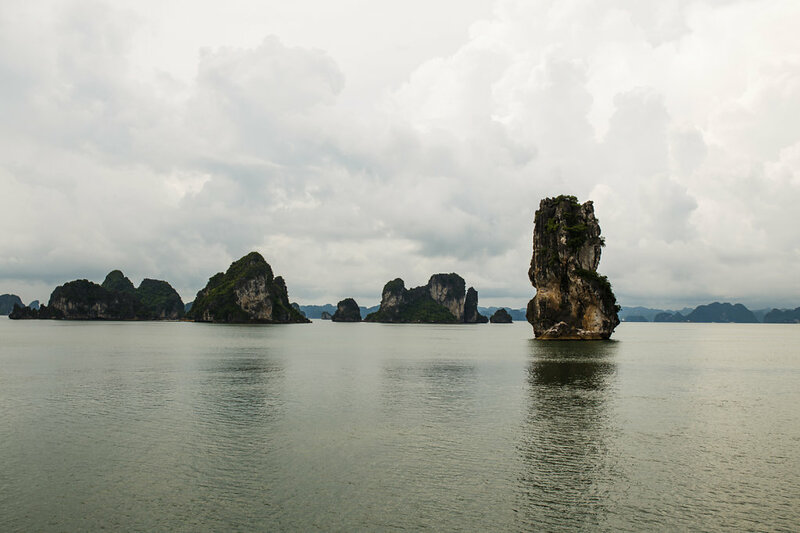 In the morning we watched the sun rise over Halong Bay, and once again, it was perfect weather. We had breakfast and then just stayed on the sundeck to enjoy the view while slowly cruising back towards the harbor. 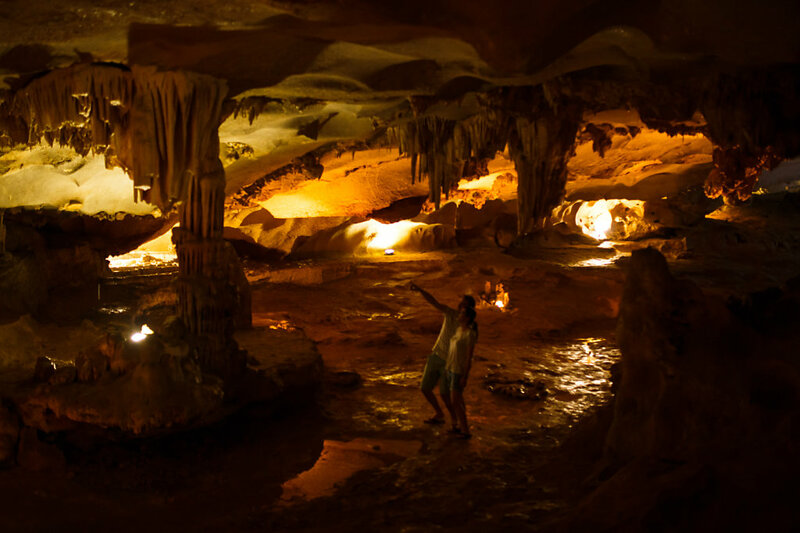 There was another stop scheduled at a cave that I can't remember the name of – I believe it was just "Grass Cave" or something weird that didn't make sense. 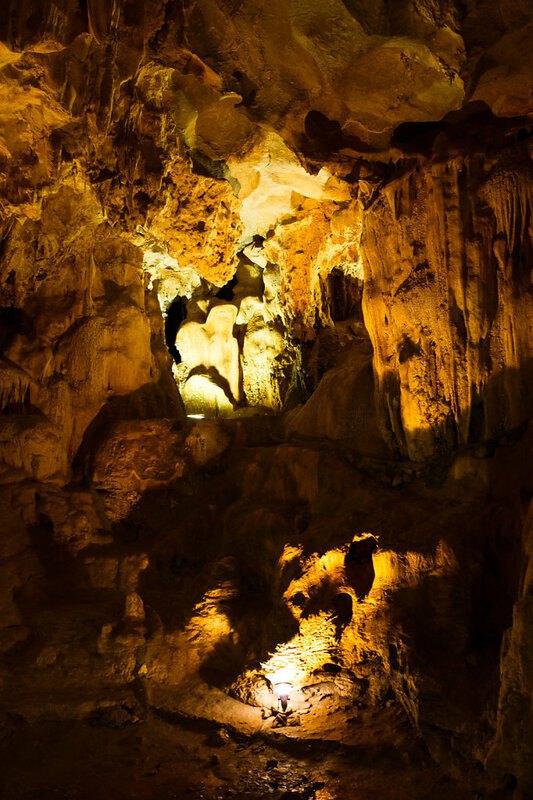 It's one of the smaller caves in Halong Bay, and only the tours that span more than one day go out there, but still there were a lot of tourists there with us. 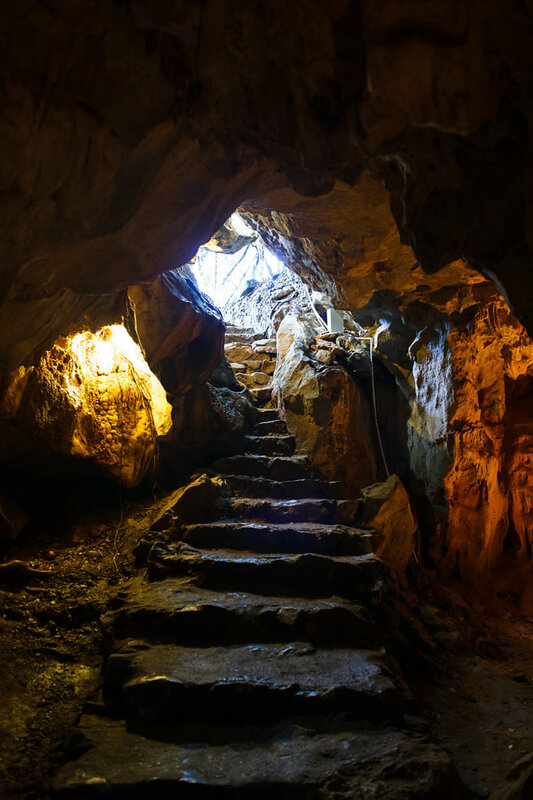 The cave was illuminated though, and in that it was pretty different to the ones we had been to so far. After visiting the cave we had some more time on the sundeck. Then we checked out of our cabin and soon it was time for Lunch. By that time we could already see the harbor and our boat tour slowly came to an end. It was a good time, and worth it too. In the end we were glad to have booked the 2D1N Tour instead of 3D2N, because for us personally it would have been too much time of doing nothing and just sitting around. While the landscape really is absolutely beautiful, it still all looks very similar while cruising along and we didn't feel like we missed anything by not spending another night. 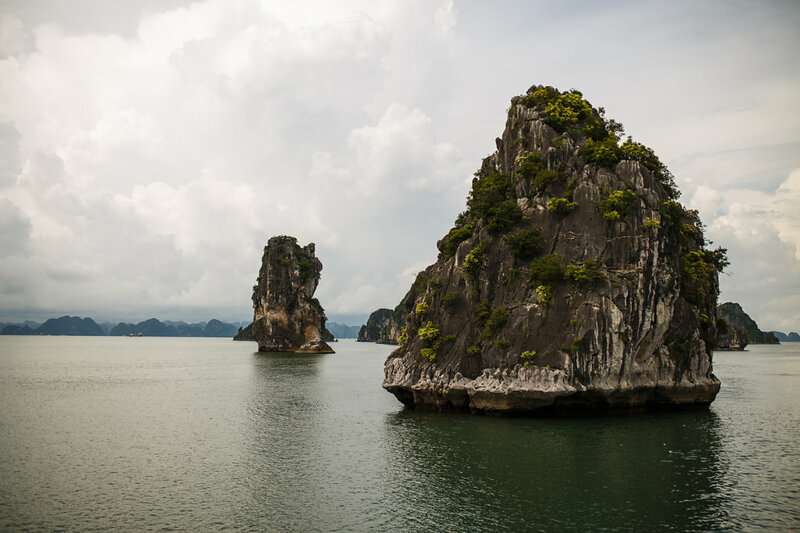 As with all entries, there are a lot more images of the day than fit this post, so check out the whole image set "Halong Bay & Bai Tu Long Bay".